Buy gift boxes, care packages, surprise gifts and Christmas presents online for friends and family in Milwaukee. 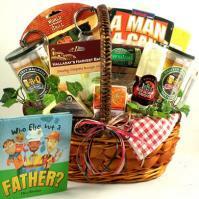 Fast gift basket delivery with free shipping. The Milwaukee County Zoo (http://www.milwaukeezoo.org) has many animals and sights the kids will love.Ã¢â‚¬Å¡ Animals include the leopard shark, Chinese alligator, king penguin, African elephant, orangutan and more.Ã¢â‚¬Å¡ The zoo also hosts many celebrations during holidays, summer events and festivals. For fun in the sun, Paradise Landing (http://www.paradiselanding.com) is sure to cool down the kids on a hot summer day!Ã¢â‚¬Å¡ It's the first indoor, tropical water park. A great place for nature lovers is the Mitchell Park Horticultural Conservatory, or The Domes, where tropical plants, cacti and all types of flora and fauna can be seen. There's also the Miller Park stadium, home of the Milwaukee Brewers, for sports fans who are visiting the area. Other places of interest include Lake Park, War Memorial Center, Pabst Theater, Pettit National Ice Center, Brewers Hill and Historic Turner Hall. Milwaukee also hosts several festivals throughout the year including the German Fest, Indian Summer Festival, Polish Fest and the Lakefront Festival of the Arts. Milwaukee, Wisconsin sits on the grand Lake Michigan and offers much for those who live and visit there. From breweries to Major League baseball, Milwaukee is rich in both culture and history throughout the city. Milwaukee is located in Milwaukee County as the county seat and has an estimated population of 586,941 as of 2003. Nearby cities include West Milwaukee, Whitefish Bay, Wauwatosa and Shorewood. The city was once just a collection of settlements scattered around what is now eastern Wisconsin. Native American tribes lived in and around the area. It is believed that the name "Milwaukee" came from a word belonging to the Potawatomi Tribe that means "council grounds." The name went through several transitions before arriving at the city's name today. French traders and trappers were among the first immigrants to the area, and the settlements grew rapidly during the 1830s. By 1837, the population had grown to several hundred people. Also in 1837, Milwaukee became a village because of a legislative mandate to incorporate. In 1846, a City Charter was formed, and the first mayor was elected - Solomon Juneau. The city continued to grow, with new constructions being added to form what is now the downtown district. Milwaukee is a great place to visit for families and individuals alike. The city offers a variety of accommodations, from luxury hotels to budget hotels. The General Mitchell International airport is located in Milwaukee for those who plan to travel there by air. For dining, a variety of restaurants are located in the area, from fast food to family restaurants. Milwaukee tourists who love history and culture will find the museums of the city to be fascinating. The Milwaukee Art Museum features a collection of almost 20,000 artworks. A great interactive museum for kids is the Betty Brinn Children's Museum. With more than six million objects and many exciting exhibits, the Milwaukee Public Museum is one of the nation's finest natural history museums. Other museums include the Charles Allis Art Museum and the William F. Eisner Museum of Advertising and Design. Some must-see historic sites include St. Josephat's Basilica, the Grain Exchange and the Pabst Mansion, a castle-like home that belonged to sea Captain Frederick Pabst. The mansion has 37 rooms and 12 baths! A trip to Milwaukee wouldn't be complete without touring the famous Miller Brewing Company. The brewery offers free tours and tastings to those interested in the brewing process. The Lakefront Brewery and Harley Davidson factory are also located in Milwaukee. It may be easy for most Midwestern cities to get lost in the shadow of Chicago, but Milwaukee, Wisconsin, located just 90 miles to the north, is no shrinking violet. This blue-collar city is full of hardworking residents from a wide variety of ethnic backgrounds. Well-known for being largely influenced by German settlers and beer barons, Milwaukee has also been shaped by immigrants from many other countries, including Ireland, Italy and Poland. This wide range of ethnic influence continues to be present in MilwaukeeÃƒÅ’s annual ethnic festivals along Lake Michigan. These festivals offer cuisine from around the world, proving that Milwaukee is about more than beer and brats. German Food - While walking next to the stained-glass windows and suits of medieval armor decorating MaderÃƒÅ’s interior, it is hard not to imagine beer barons Joseph Schlitz and Captain Frederick Pabst dining together in a back room, clanking steins of beer during a toast and laughing over a plate of tangy sauerbraten. Around every corner, MaderÃƒÅ’s exudes Germanic culture. If you want authentic German food, you have come to the right place. MaderÃƒÅ’s, located downtown Milwaukee on North Third Street, is famous for its sauerbraten (beef marinated in spices and wine vinegar with a topping of ginger snap sauce and served with red cabbage and spaetzle, also known as little dumplings). Two more specialties are the pork shank (a skinless shank topped with an apple glaze and served with sauerkraut and red potatoes) and the wiener schnitzel (a lightly breaded and sautÃ‚Â»ed pork cutlet served with spaetzle enhanced with chive-butter and lemon). MaderÃƒÅ’s also offers a large selection of German beer. Mexican Food - Cempazuchi Comida Brava, located on bustling Brady Street on MilwaukeeÃƒÅ’s popular East Side, greets diners with a vibrant Dia de los Muertos dÃ‚Â»cor. The menu is also vibrant with fresh, colorful vegetables and succulent Oaxacan moles. If interested in a light lunch, consider the Sopa Azteca, a spicy tortilla soup with avocado and Oaxacan cheese coupled with the Ensalada de Jicama, a salad with jicama, fresh greens, grapefruit and avocado. For a heartier meal, try the Tacos al Pastor de Pato, which includes blue corn tortilla shells filled with marinated duck, cilantro and pineapple, served with a salad of juicy mango, sweet papaya, cucumber and chile de arbol. Vegetarians should not miss out on Cerca del Cielo, consisting of beans, spinach, squash and cheese layered on top of soft, sweet corn masa cakes. CempazuchiÃƒÅ’s also offers a long list of margaritas, all made with fresh lime juice. Tequila connoisseurs who like to sample their tequila straight-up will be pleasantly surprised by the extensive choices offered, from reposado to anejo and even mezcal. Cuban Food - Sipping a fragrant mojito and eating Cuban guacamole with plantain chips on CubanitasÃƒÅ’ patio on North Milwaukee Street may be the perfect way to spend a warm summer afternoon. After reading the menu, it may be hard to decide what to order. The Ropa Vieja (shredded steak topped with tomato creole, onions and peppers, served with yellow or white rice and black or red beans) sounds delicious but so does the Boliche (a bed of white rice topped with chorizo-stuffed Cuban pot roast)! The Cuban sandwich is highly recommended. This sandwich, simple yet incredibly tasty and satisfying, sums up the deliciousness of Cubanitas in one fell swoop (or bite). The combination of flavors produced by the roasted pork, ham, Swiss cheese, pickles, mustard aioli and fresh bread is so enticing, you will be planning your next visit by the second bite. And donÃƒÅ’t forget the mojito! Italian Food - Nessun Dorma serves delicious, affordable Italian food in MilwaukeeÃƒÅ’s Riverwest neighborhood on North Weil Street. They also offer more than 80 types of beer and an extensive wine selection. The Italian-nouveau cuisine includes different types of bruschetta, antipasti and Panini. The most expensive Panino on the menu, the Puccini (Tuscan country bread filled with beef tenderloin, capicola, sautÃ‚Â»ed onions and peppers, provolone and olive tapenade) is only $9. Pair this with the $7 Caponata antipasto and a $4 Peroni and youÃƒÅ’ll have one of the best, most affordable Italian meals you have ever been served. Irish Food - County Clare is an Irish pub, restaurant and inn located on North Aster Street. The pub has an excellent selection of whiskey and beer (the Guinness is supposedly the freshest outside of St. James Gate) and showcases lively bands playing traditional Irish music each week. The restaurantÃ¢Ë†Å¡Ã¢â€°Â s menu features Irish culinary mainstays such as brown bread, root soup (pureed sweet potatoes, carrots and leeks), corned beef and cabbage and Ã¢Ë†Å¡Ã‚Â¨Grandma FlaniganÃ¢Ë†Å¡Ã¢â€°Â sÃ¢Ë†Å¡Ãƒâ€ pot roast (slow-cooked pot roast smothered in Guinness gravy served with potatoes). County Clare is the perfect place to wash down some corned beef with a pint of Guinness and raise a toast to Molly Malone.